The Government considered a “conscience clause” for those who objected to the compulsory wearing of seat belts, declassified files reveal, but the plan was deemed impractical. Documents released at the Public Record Office in Belfast under the 30/20 year rule show that in 1978 the Transport Secretary – who believed that compulsory wearing of seat belts would save 1,000 lives a year in Great Britain – felt that he had a way round the opposition of civil liberties campaigners. His idea would have involved a register of those who objected to the measure on grounds of conscience, in an effort to separate those people from drivers who were simply too lazy to wear a belt. 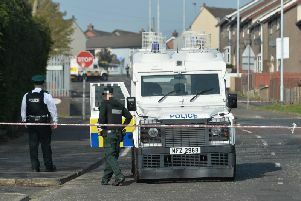 William Rodgers’ views are contained in a series of memos which were copied to the Northern Ireland Secretary of State and hence have been released in Belfast. It had been mandatory for cars to be fitted with seat belts since 1965, but libertarian arguments meant that it was not compulsory for anyone to use them. It would be 1991 before it was compulsory for all passengers in a car to wear a seat belt. Mr Rodgers recognised that “compulsion [to wear a seat belt] arouses strong feelings about restricting personal liberty”. An undated memo (seemingly written in 1978) said: “As a gesture to those who oppose compulsion on the ground that it is an unacceptable restraint on personal liberty, the Secretary of State for Transport may offer the idea of a ‘conscience clause’ in the bill. “Under the suggested procedure anybody who objects in principle to compulsion will be able, before the bill takes effect, to place his name on a register. The memo said that the minister “admits that this conscience clause would be a legal novelty, that it would be controversial, and that it would reduce the effectiveness of the legislation. “It would certainly be unpopular with the police who would never know whether a non-wearer of a seat belt was a genuine offender under the new law or could produce evidence to claim exemption. An earlier September 1978 memo from Downing Street to the Department of Transport shows that there was high-level support for the proposal. Previously, the then Secretary of State, Roy Mason, wrote to the Prime Minister in August 1977 to argue for specific seat belt legislation in Northern Ireland – even though the Government had at that point abandoned plans to legislate on the issue in Great Britain. The annual rate of fatalities on Northern Ireland’s roads per 10,000 vehicles was roughly double that in the rest of the UK.